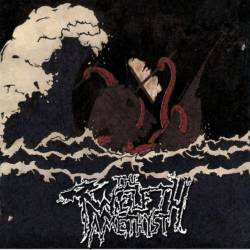 The Twelfth Amethyst is a Christian Deathcore band. Their sound has toned down since this albums release, which is a bit saddening because this release is filled with pure insanity. Fortunately, this insanity is "controlled". It has a very nice flow, and little of the album runs together. The vocals of all ranges, with a majority being "Bree Bree" or high pitched yells. There's also a fair mix of guttural growls and gang vocals in the background. This album is NOT for the light-hearted. Those who enjoy a bit of "inhuman" in their music will like this album quite a bit. Make sure to pick up this one from Amazon or iTunes. I would like to make a special note of track 9, for fun of course. If you're one of those who has a difficult time making it from start to finish, try skipping to this track. You'll get to hear a nice 21 Second guttural bree. That's right, 21 seconds of bree.